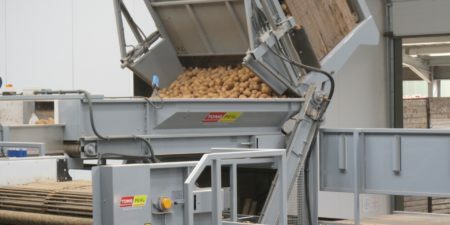 Tong Engineering custom-built Brussels Sprouts grading and sorting line in action at T H Clements Ltd in Lincolnshire, UK. The new handling facility gently handles TH Clements’ Brussels Sprouts from receiving the harvested sprouts in boxes to cleaning, drying, grading and defect sorting crop prior to reaching the packing area. 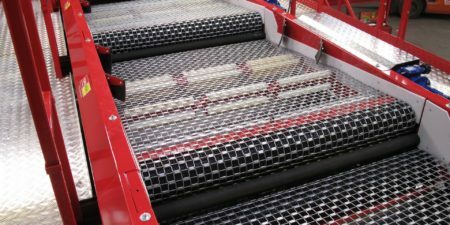 The new stainless steel line starts with a Tong box rotator at the infeed, which gently tips crop into a Tong hopper that ensures an even flow of crop over a debris removing screen and overhead crop drying unit. 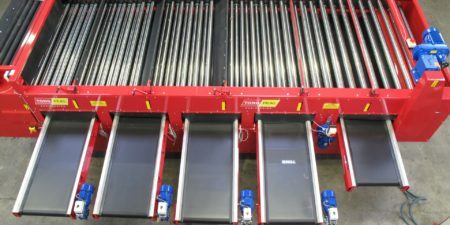 A new Tong Lift Roller Grader size grades the Brussels sprouts to a variety of pre-set grade bands to suit customer requirements, which can be easily adjusted at the touch of a button with Tong’s advanced Auto-Touch HMI controls. Defect sorting with the new Veryx sorter from Key Technology means that TH Clements Brussels sprout crop is sorted with increased accuracy and consistency. For more details click here.